Unlike fabric, paper is unforgiving when sewn. Paper remembers. It remembers every fold, and crease. It remembers uneven tension, impatient presser-feet, hungry feed dogs. Paper remembers when your stitches are too close, and when your thread empties. But, like all good memory-keeping, these blemishes and imperfections show the process. Disclaimer: I am not a seamstress; I’m a sewing rule breaker. You’ve been warned. Also, this is an image-heavy article. 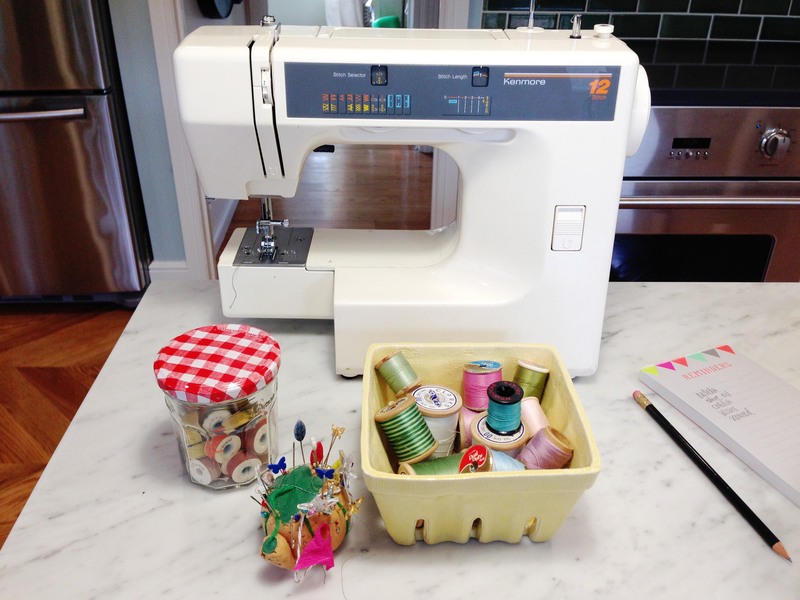 I have two sewing machines. One machine is a 16-pound, 12-stitch Kenmore that my mother gave me for Christmas when I was twelve. It is still one of my very favorite gifts that I’ve ever received. I have to say that twelve stitches is a stretch; it’s basically straight and zigzag. But this machine is a beast. I could sew through sheetrock on this thing. I’ve reupholstered chairs and vinyl banquettes. I’ve made countless curtain panels, three quilts, and one pair of jean slippers that I thought would be cool but weren’t. This machine is approaching vintage status, and even though I have a new machine, the Kenmore stays because it is a workhorse. A few years ago, my mom asked me about a sewing machine recommendation for my sister. And I promptly told her about the Brother CS-6000i that I’d been eyeing for myself. I thought I needed more stitches. A fancier interface. An upgrade. I also wanted something a little quieter. (The Kenmore roars). And I was also contemplating a surger—which is a whole other animal. When my mom surprised me with this new machine a few months later, (she was astonished that I was still using the same old Kenmore! ), I was delighted, and test-drove it immediately. It is a smoother sew. It is user-friendly. And it boasts so many stitches (that I really never use). 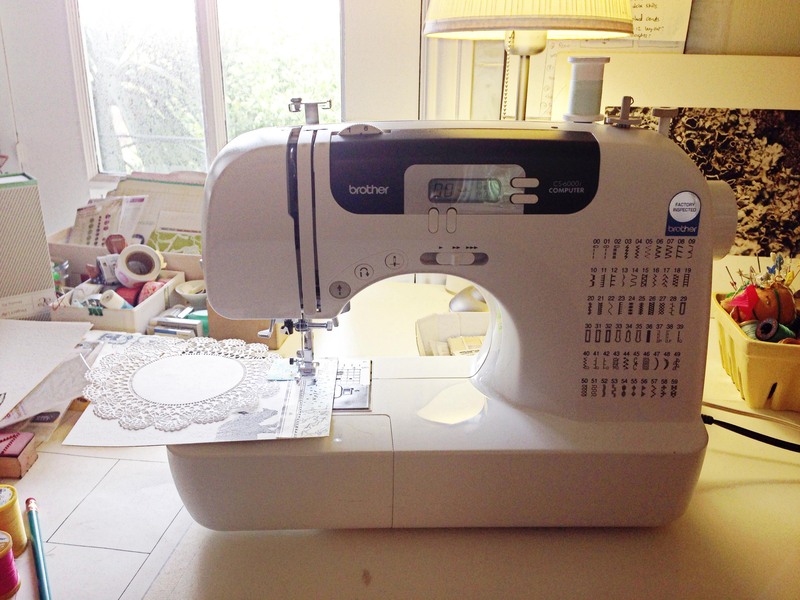 The first time I tortured my sewing machine with a stack of paper was over twelve years ago. I stitched the binding on 90 wedding programs for our wedding ceremony. I can’t recall how I was inspired to do this type of binding, but I do remember that it was time consuming, and I agonized over perfect, straight stitches. Bookbinders have been sewing together signatures and bindings for a thousand years, with much art and beauty and purpose. I have some experience with hand-stitched books, but I also use the machine for quick booklets like this little one that I sent off to school with my then-kindergartener. It is filled with family photos and affirmations. He carried it all year long in a special compartment in his backpack. It weathered fairly well. 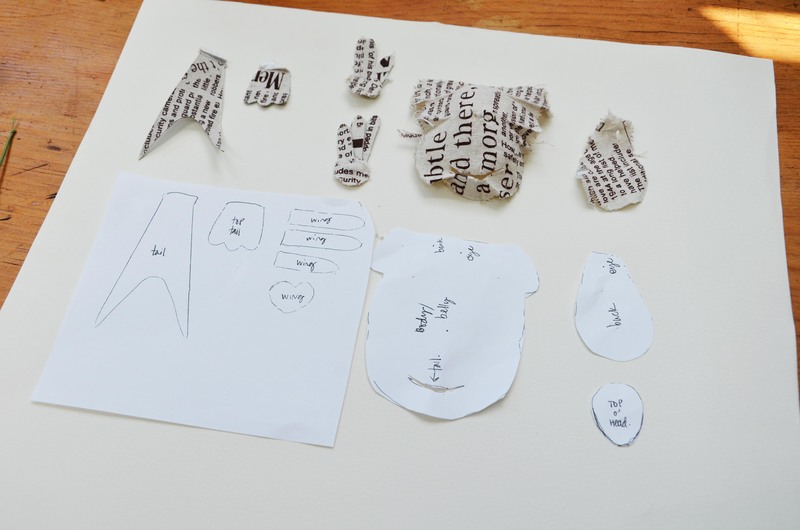 While I’m still striving for the more artistic side of sewing on paper, I’ve corralled some thoughts here on my process and practice. I sew on paper because machine and hand sewing act as an adhesive, a way for me to join this to that, and fast. Another reason: texture. I have said that the internet robs us all of texture, and even the very best photography fails to give the viewer a truly tactile experience—no matter what filter or app you use. And, stitching (by hand or machine) is a sure-fire sign of a handmade creation. (Not that it can’t be done in a factory far, far away, but…you can tell). Use a new needle, and relegate it for paper only (like we all should with scissors). Try to keep your needle away from adhesives. 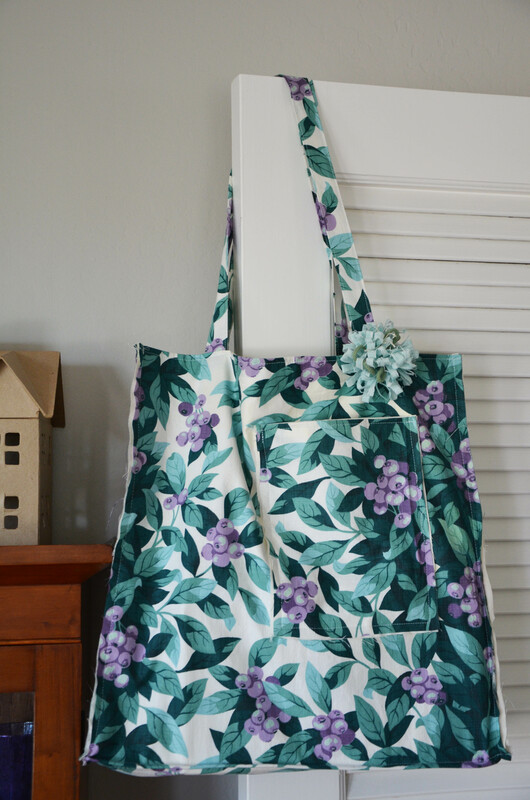 You may want to tack your pieces together before attempting to sew; try paper or bulldog clips, or a bit of double stick tape away from your sewing path. Test thread and bobbin tension on a similar weight of scrap paper. Widen your stitch length to 3-4mm. If your stitches are too close, they will lend a perforated effect—which does, however, have its own beauty and use. Use the same thread in the bobbin as is on the spool. Or at least the same weight if you want contrasting colors. Beauty happens when light filters in from the stitches. stitching holds a doily in place–no wet adhesive required. 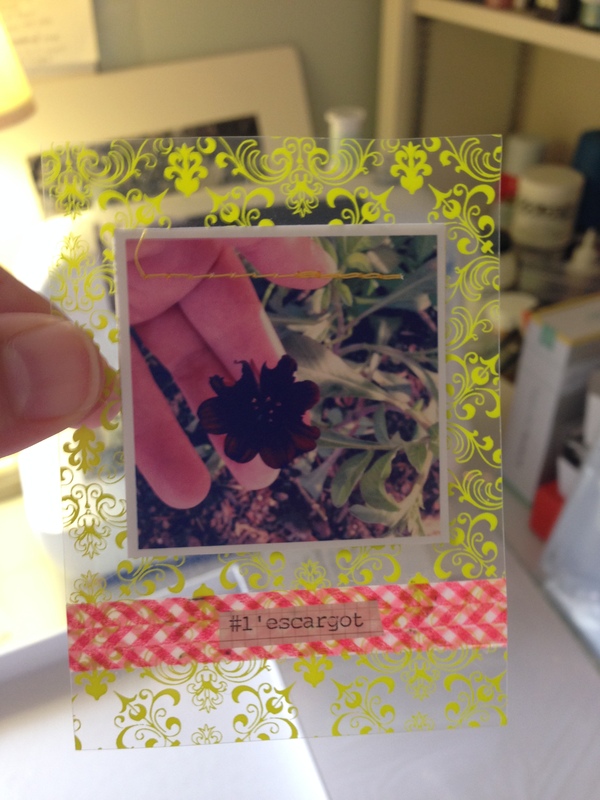 transparent paper can be tricky; I like to sew or staple it. consider the backside of your stitching. I like to test-run all my paper through the machine each time I start a new project. I’ll bet the fabric sewists would concur. When you are machine sewing paper, the weight of it reckons “Goldilocks.” Paper that’s too thin, like tissue, tracing, thin floral paper, and old dictionary pages, will likely jam the machine or tear. You can work around this predicament by using a new lightweight needle, and/or reinforce the paper with interfacing. Or skip the machine, and stitch by hand. Stock that is too thick can be coaxed through a machine by hand-cranking the flywheel. Or try a heavy-weight needle for denim or leather, and a very slow pace. You may have to help the feed dogs by push/pulling the stock along. You may get tracks from the feed dogs and presser foot pressure. Speed matters here. 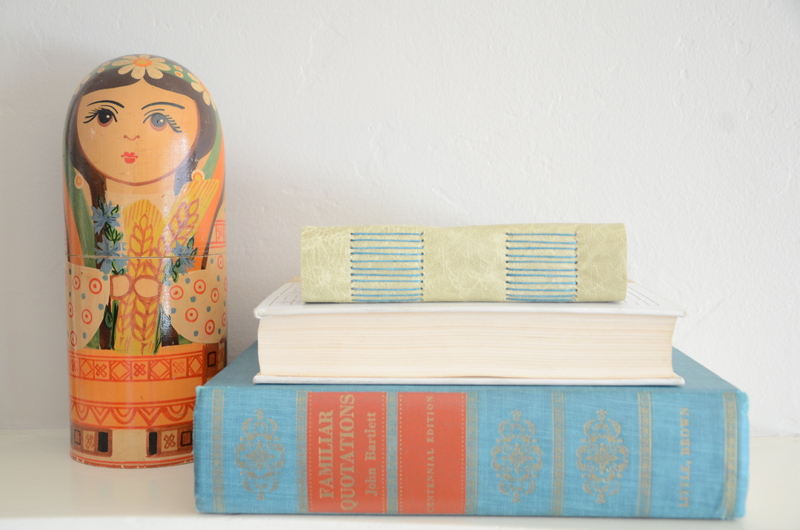 Vintage paper (sheet music and book pages) are sewing staples for me. However, sometimes this paper is really brittle, and perhaps won’t hold up to binding or folding. 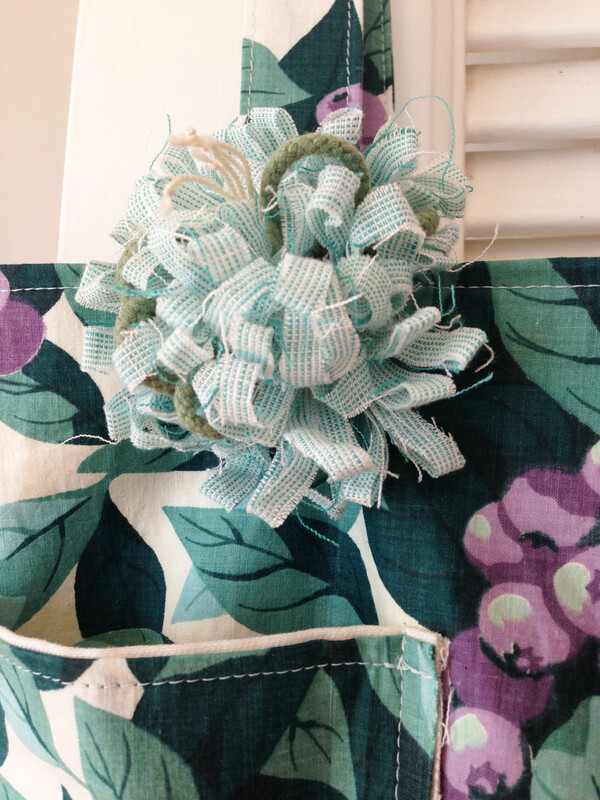 You can reinforce the stitching with other bits of paper or fabric, which can be added before or after stitching. 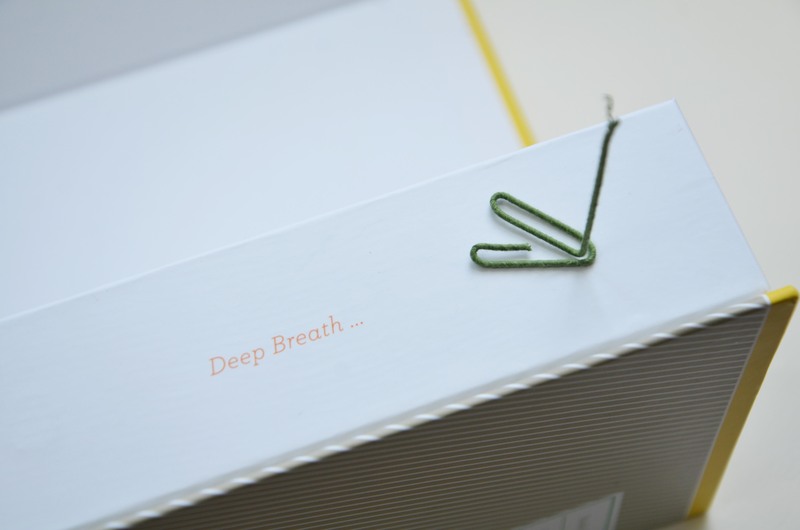 Washi tape won’t gum up your needle as much as other adhesives tend to do. 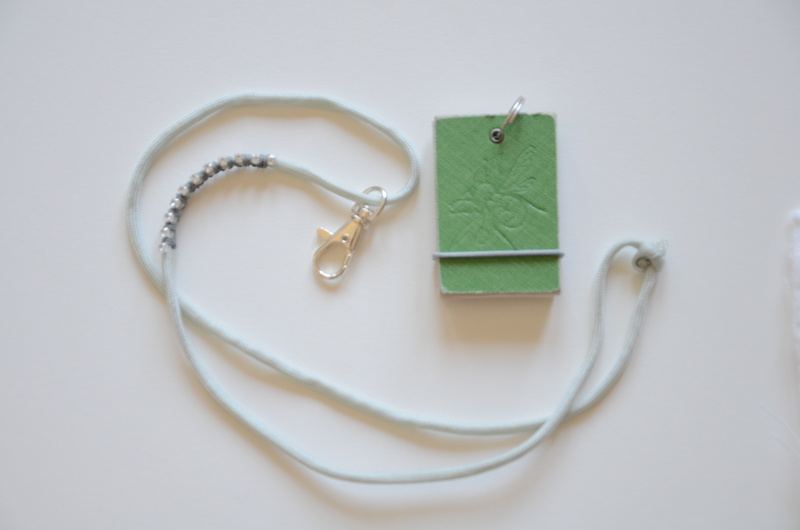 unadorned art journal page with machine-stitched edging, and pamphlet-bound signature. 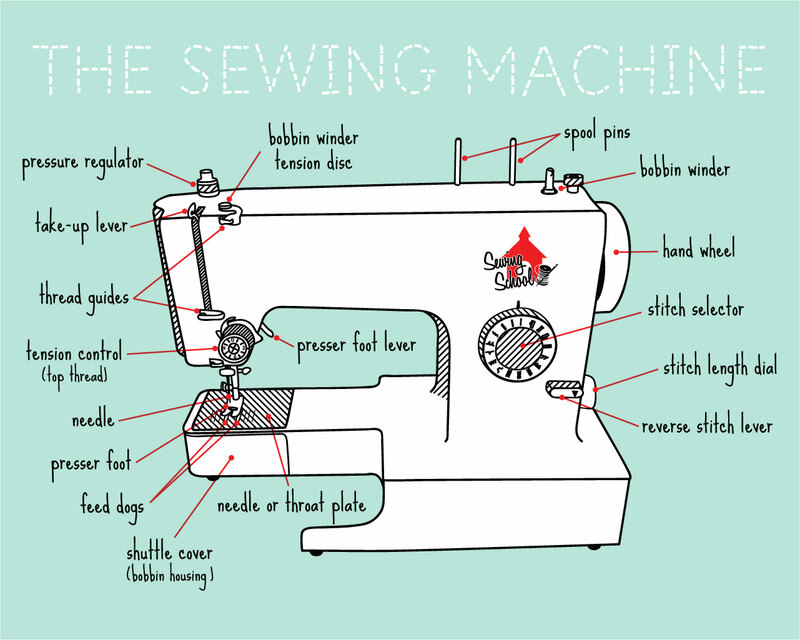 Usually, I thread up my machine, and use it use it use it till the thread or bobbin run dry. I only sometimes change it for a specific color. It’s auto-pilot on my part, and that could use some evaluating. I take tremendous care choosing a writing instrument; I should be more thoughtful about thread, line, and stitch. 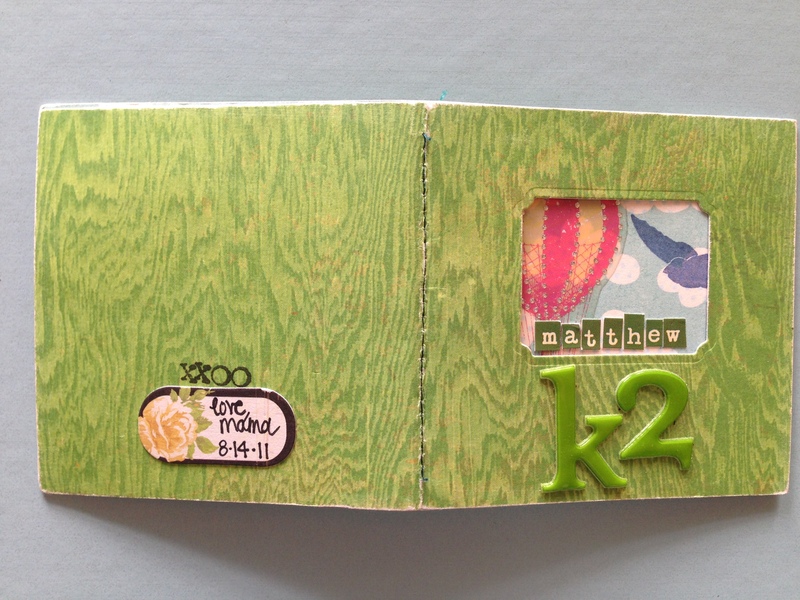 these are snippets from our family book (Project Life). from 2013 December Daily/Advent Book. white on white delineated lines. I use all sorts of threads. Modern all-purpose threads work great. (Gutterman, Coats, Mölnlycke are my favorites). But I also find and buy vintage threads because I love the wooden spools, the vintage label, the fading. These threads work great on paper because you aren’t asking them to hold fast through washes, detergent, or heat. But know that can be brittle. Try to back-stitch your ends. That will lock in your thread, and prevent unraveling or an empty hole. But also, you needn’t! You can let those ends loose! You can clip them short! You can leave the tails long and flowing! See? Rule-breaking. I sew on paper often. Daily, even. In making notes for this article, I realized I’m in a rut with my sewing. I use a one-dimensional technique for lines, outlines, and adhesive. But little else. This discovery is exactly why writing and self-assessment are such good tools for creative processes. I know people are doing amazing things with their machines—drawing with stitches, texture by sew-scribbling over fabric, joining interesting patterns with bold and intricate stitching. I’m now trying to explore and experiment with new-to-me sewing on paper techniques and trials. PS: Hey, San Francisco Bay Area bibliophiles! I just wanted to advertise that the San Francisco Public Library is having it’s Annual Big Book Sale at Ft. Mason next week, Sept. 24-28, 2014. Wedding place cards and a seating chart: the bride and groom have a monogrammed cork with a pre-cut channel for the card. We’re collaborating on shape and calligraphy, or well, my best handwriting. Crepe and tissue paper flowers by the handful: I’m working from Paper to Petal: 75 Whimsical Paper Flowers to Craft by Hand by Rebecca Thuss and Patrick Farrell. I love this book, and can’t wait to share an in-depth review. And also a synopsis, because I think it would be a good writing exercise to condense my lengthier reviews. Meanwhile, I’m wrapping floral wire with floral tape on repeat, because it’s the hardest part for me. 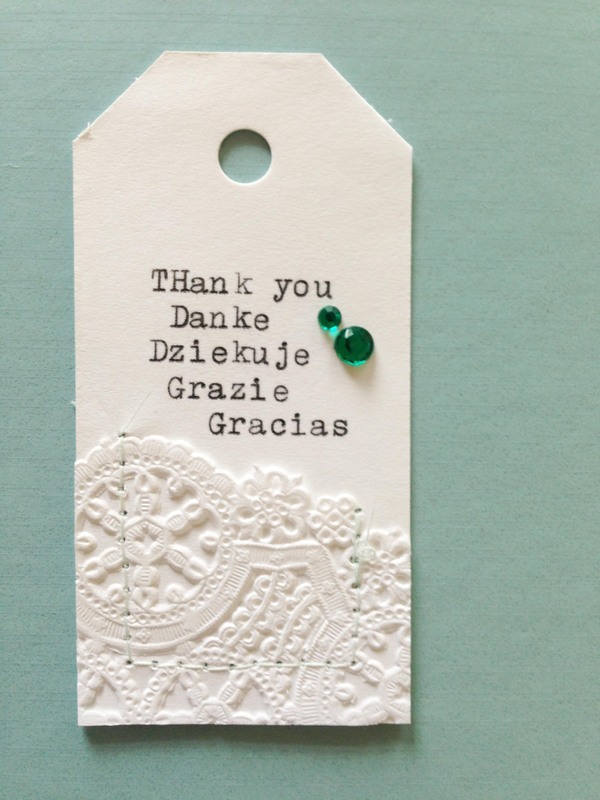 Thank you notes: I have a lot to be thankful for–good teachers, remarkable friends, thoughtful cousins. 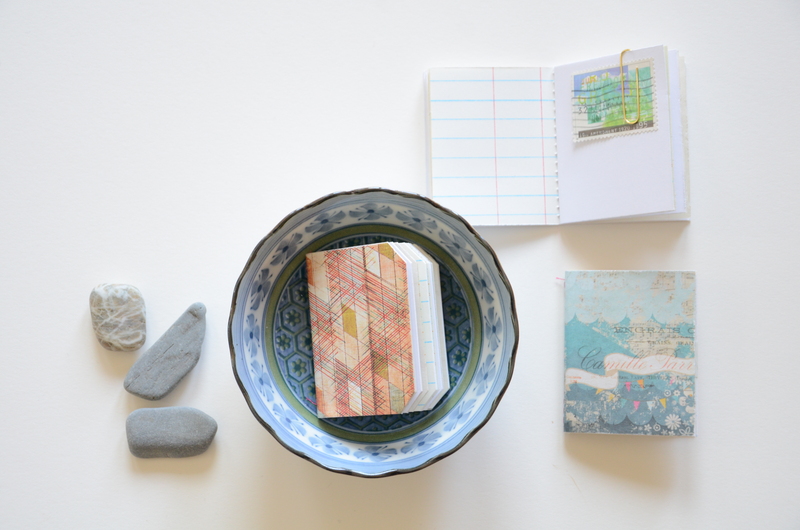 I love to craft personal, meaningful notes that get a stamp, and travel by air, and arrive in a mailbox that might otherwise contain credit card offers, alumnae requests, and grocery circulars. I cut and fold envelopes. 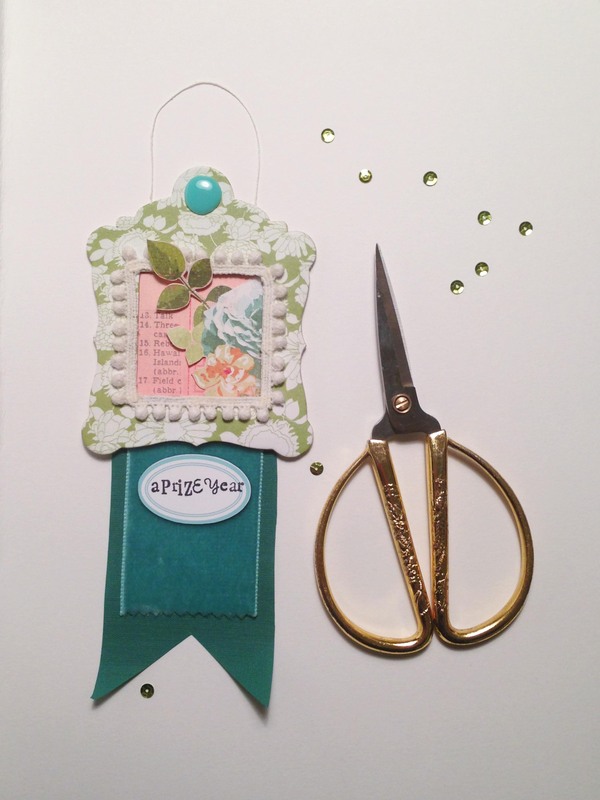 I use vintage paper and fortune cookie fortunes (among many other bits & pieces). I stitch and stamp address labels. 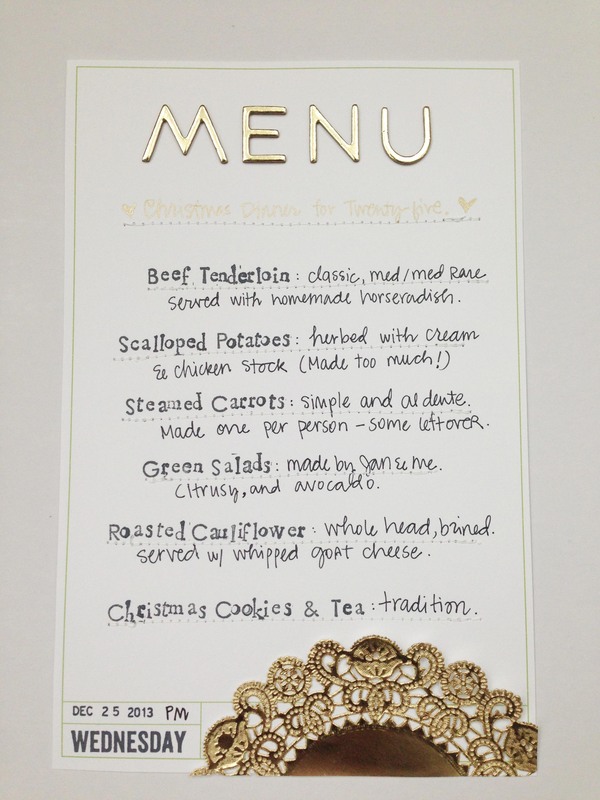 The whole shebang. 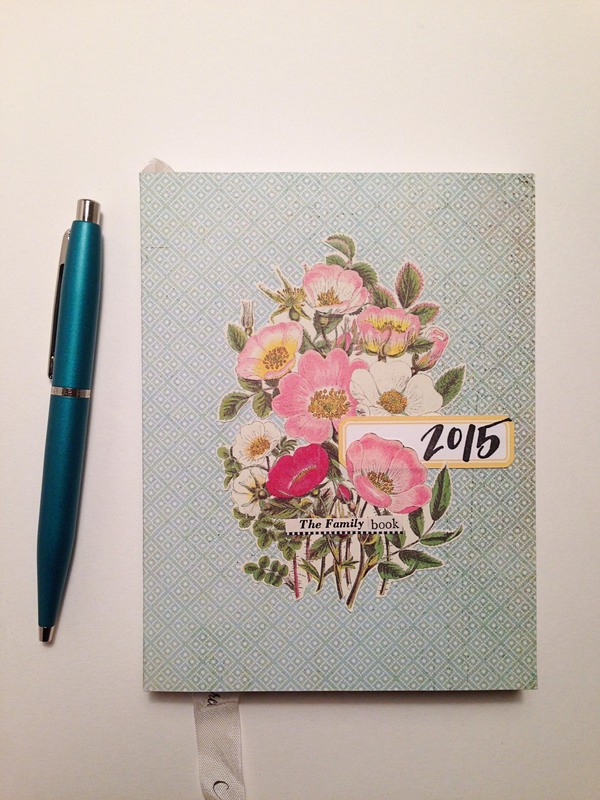 Travel Journal: Our family took a wonderful trip to Scandinavia this summer. There are thousands of things to say about this adventure, and I don’t want to let too much time slip by before corralling photos and tickets and favorite memories into one volume. For example, I want to remember overhearing a Norwegian mom tell her kids to eat their sangwiches, which is exactly how my Norwegian grandmother pronounced sandwich, and I’ve never heard another person say it that way. Thus far, my craft ritual entails brushing my teeth, drinking green tea, rejecting the mess, and sitting down with pen to paper. I’m trying to ignore Salon.com, MLB at Bat, and Instagram. The ritual needs some work. Do you remember receiving your first library card? I wish I still had my card in possession, but I remember it distinctly. It had a wobbly signature, and was hand-laminated by a bi-focaled librarian from America’s first publicly funded library: Scoville Memorial in Salisbury, Connecticut. The library façade is granite mined from a nearby quarry, and from the walk, it resembles a small chateau. And inside it smells like a library. Papery and cool, even on the most humid summer day. I’ve since held many other library cards from other towns, colleges, and cities. And while I think it is still a choice pleasure to browse the stacks of a library, losing hours to that 90 degree head-tilt to read the spines, I absolutely love the ease and efficiency of the “request” system. This ability to create succulent reading lists online and have them delivered to my local branch was the difference between my sanity and an existence I’d rather not acknowledge during those early, frazzled days of motherhood. The library has saved me countless times in my life. 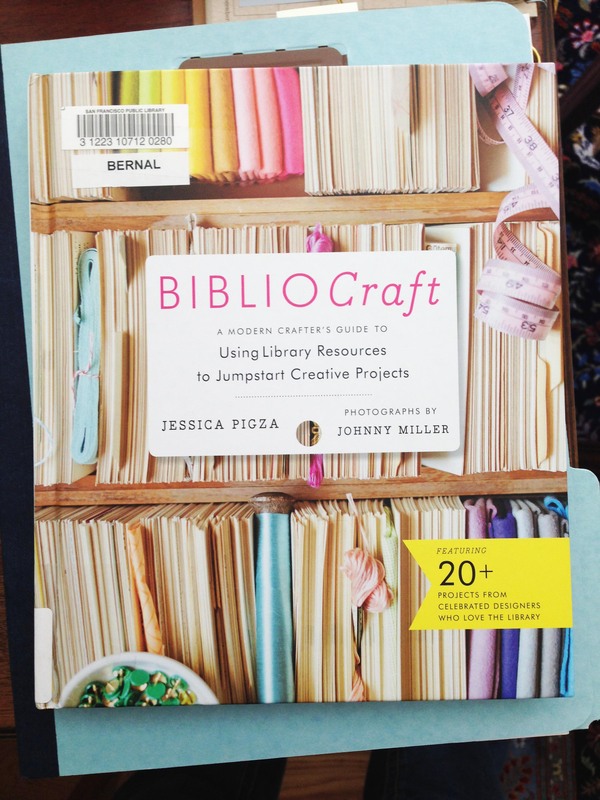 So it is with the chiefest pleasure that I offer up my review BiblioCraft, a book that marries my two favorite occupations: libraries and making. 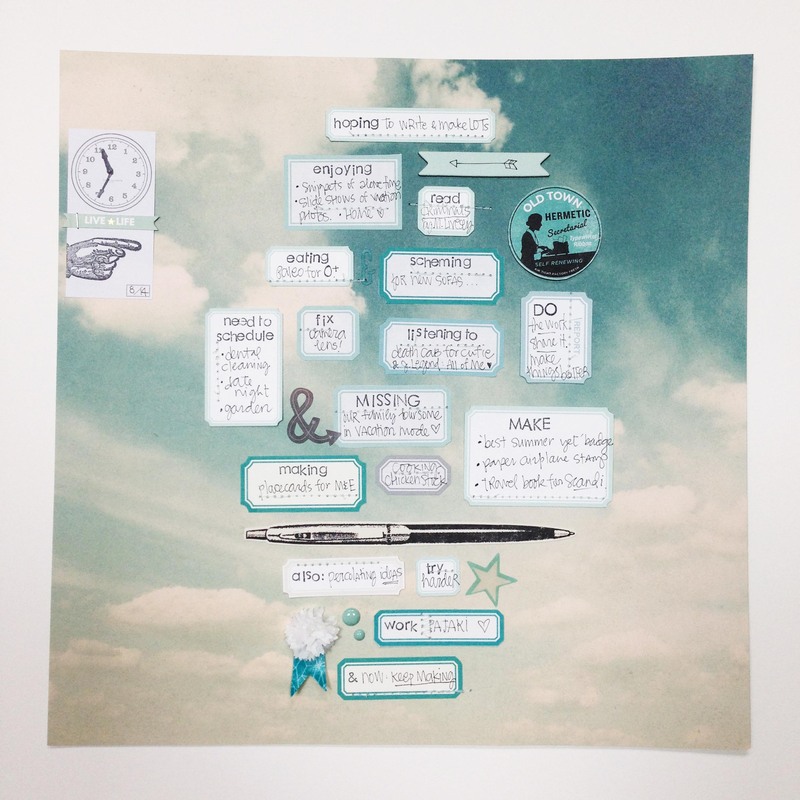 A Modern Crafter’s Guide to Using Library Resources to Jumpstart Creative Projects. 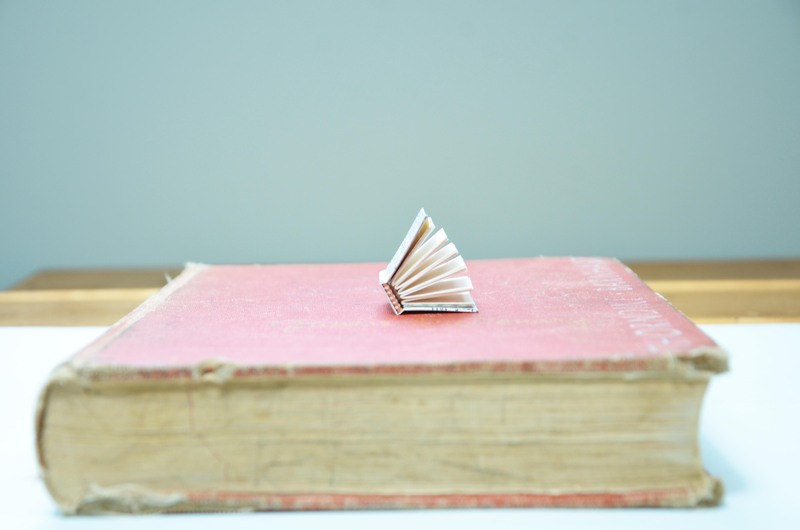 Written by NYPL rare book librarian and avid crafter Jessica Pigza, BiblioCraft is a tremendous collaboration between a librarian and a crew of artists and crafters. The range of source material for the body of projects is completely diverse. This book makes me want to marbleize paper, embroider cartouches, and explore every library in my day-tripping radius. Jessica provides personal and useful commentary on the partnership of librarian and visiting bibliophile/artist. There are chapters on research libraries and the nature of special collections, finding the right library, planning your visit, and using the cataloging system. Jessica includes a copyright primer where there are some guidelines and many resources. 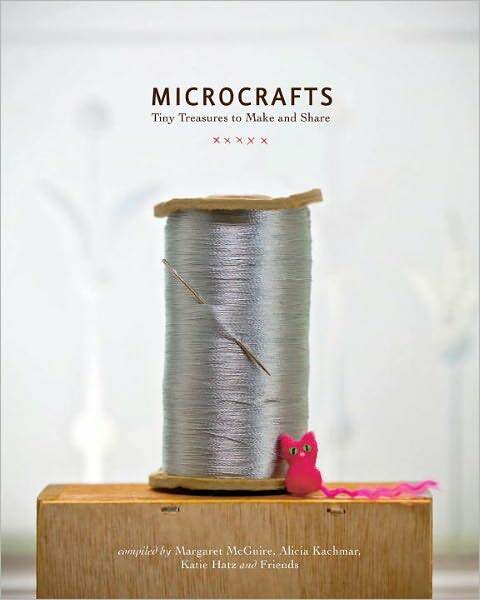 There is a list of digital libraries to reference, and recommended library collections—helpful for planning your next getaway to, say, The American Craft Council Library in Minneapolis, Minnesota. Or the National Library of the Netherlands, in The Hague, for an exhibit on the history of decorated papers. Curious? I was. Here’s the link: http://www.kb.nl/en/web-exhibitions/decorated-paper. I completely appreciate the window into a far-flung library. 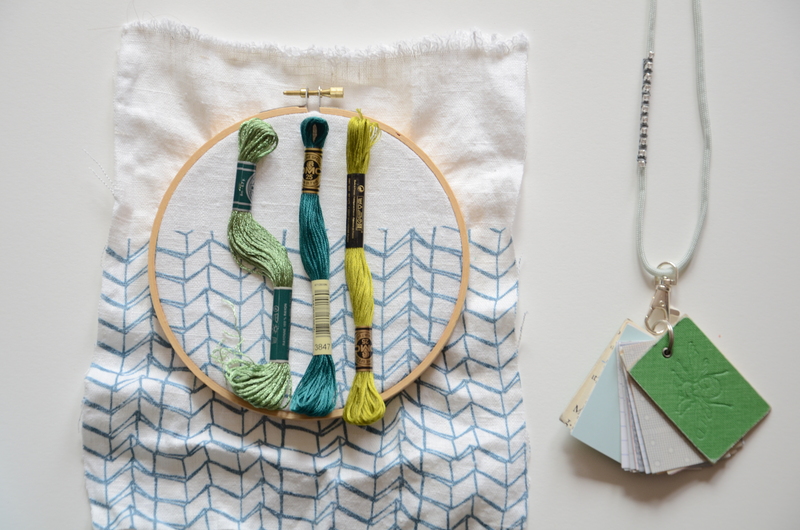 The 20+ projects included in Bibliocraft traverse stitching, sewing, embroidering, paper cutting, and stenciling a host of home décor projects. The ideas are all beautifully conceived, with full back-story on each artist’s source point. For example, the marbled fabric pouch made by Jodi Kahn was inspired by the historical marbled end papers found in old volumes. A delicately quilled willow pendant designed by Ann Martin sprang from the gilt blossoms and leaves of a book cover. Each project features a designer who worked with Jessica to find precisely the source material needed to propel the idea into fruition. There is a narrative about the craft, and its history, as well as the story of how the historical document converged with modern craft designer. I love reading about this process. 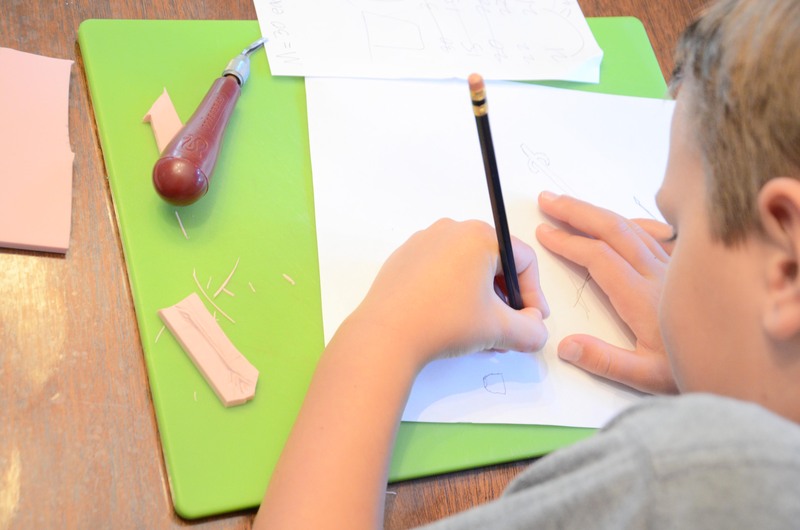 All the projects offer a full set of instructions and templates to complete each craft. 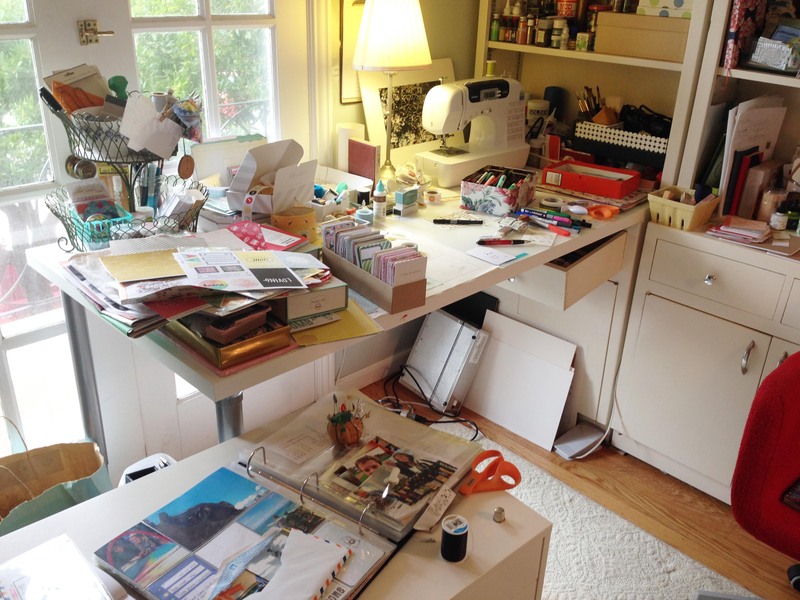 Some projects offer ideas on how to take the project further or alter to your taste. Jessica, ever the librarian, instills more knowledge about each subject and suggests further readings and subject headings. There are so many possibilities in this book; I want to make everything. 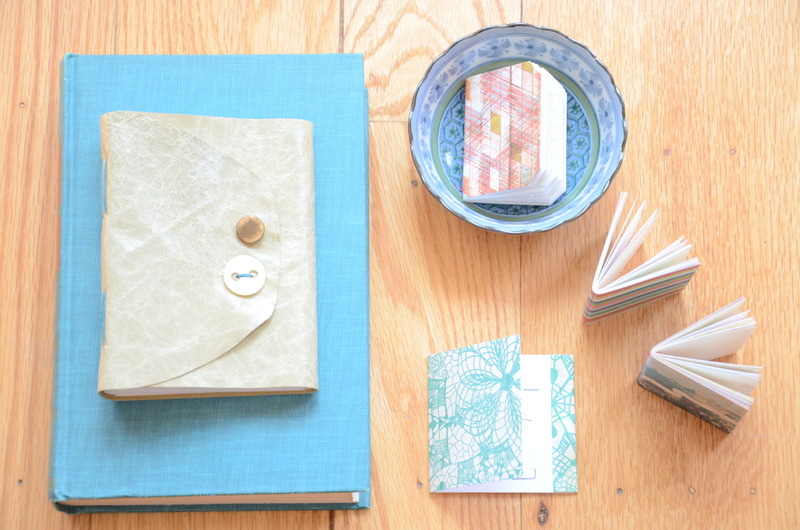 Bibliocraft is a book all artists and crafters will want to own. My copy is borrowed, fittingly, but I plan to purchase it for its wealth of references, in addition to great project ideas. 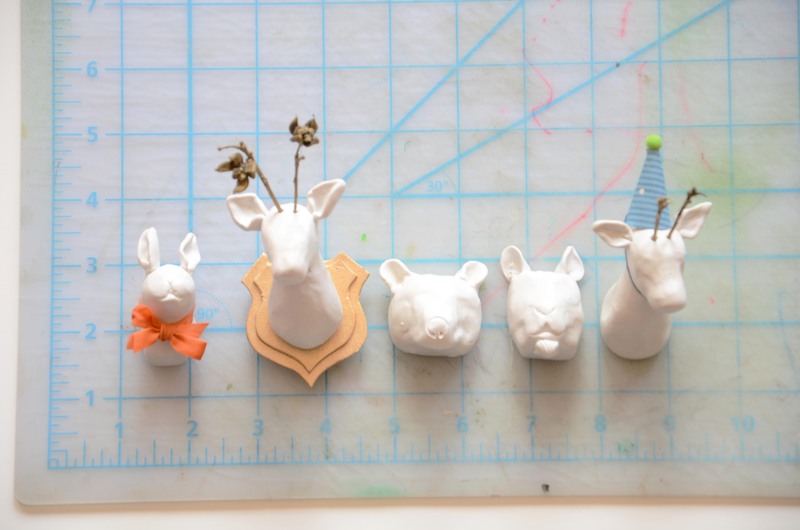 Some of my favorite projects from the book include Jessica’s dogwood blossoms (great for attaching to packages), Grace Bonney’s antiquarian animal votive holders (I need a set: tiger, bear, koala or owl, lion, and maybe a snail), Sarah Goldschadt’s paper towns (I want to make tall, skinny, ornate row houses from the waterways of Amsterdam!) And Rebecca Ringquist’s cartouche embroidery. She used an old map cartouche as inspiration for a quilt label. I have seen entire wall displays filled with hoop art. I currently have twelve empty embroidery hoops of varying sizes. I’m thinking about ampersands and arrows, initials, and a family crest. There might be some mixed media embroidery since I love to sew paper to fabric. Oh, the possibilities! My library field trip is scheduled! Phase one: completed! Phase two: bring copy card, wish list, ear plugs, and rations. Read more about Jessica’s adventures in making at handmadelibrarian.com. 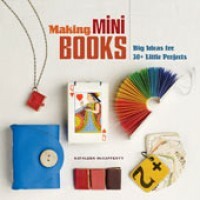 Also, she writes on NYPL’s blog about events, crafting, and Crafternoons at http://www.nypl.org/blog/author/jessica-pigza. Thanks, Jessica Pigza, for researching, writing, and crafting a book that makes me want to befriend a librarian and hole up in the rare book corral at SFPL’s Main Library, then come home and turn old tea cup markings into embroidered wall hangings. 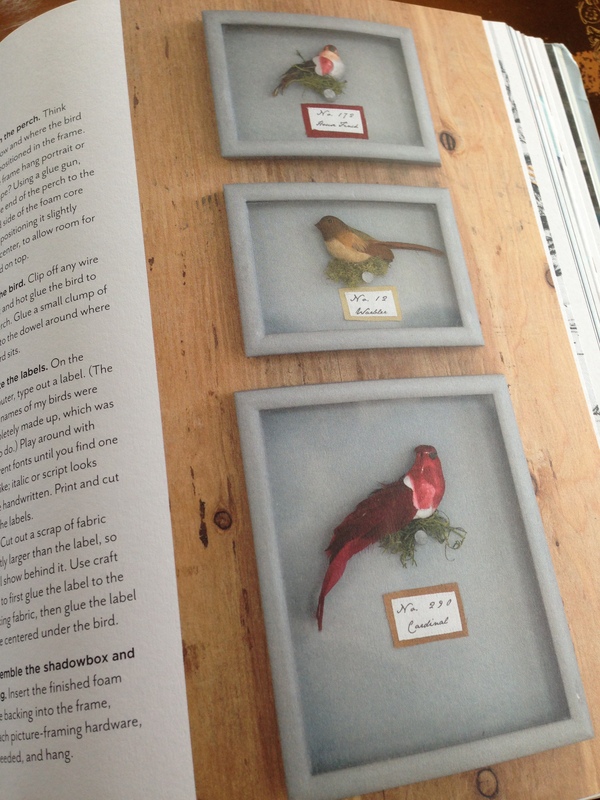 Last week I was on a terrific bird hunt to make the Faux Taxidermy project from Blair Stocker’s Wisecraft. 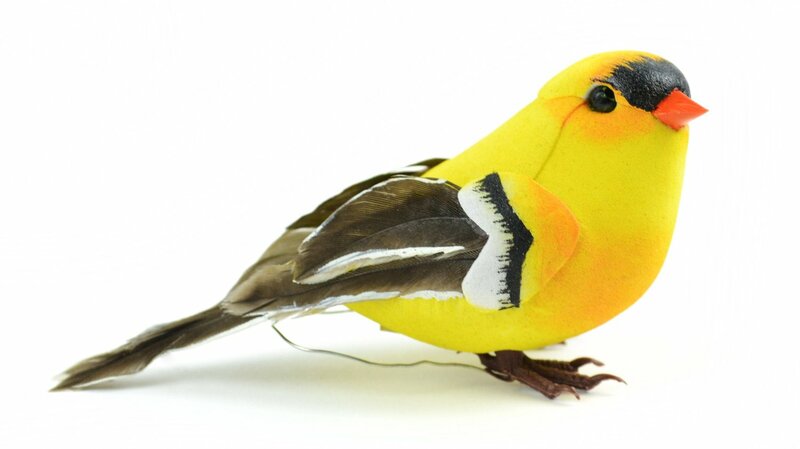 There were birds to be had on Etsy and Ebay, but I’m impatient sometimes, and the crafting cannot wait. I went to my local Beverly’s, and happily birds were 30% off, which is great because I had big plans to dissect her. This is an example of the same brand/different bird on Amazon. I might have actually bought and used this finch had it been in stock. Instead, I bought a really weird looking canvas bird, and I am remiss for not photographing it for you. But again, I am sometimes impatient when crafting. The plan for this bird was to make a shadow box, featuring the bird, and a simple calligraphy label. I love when crafty plans go awry. 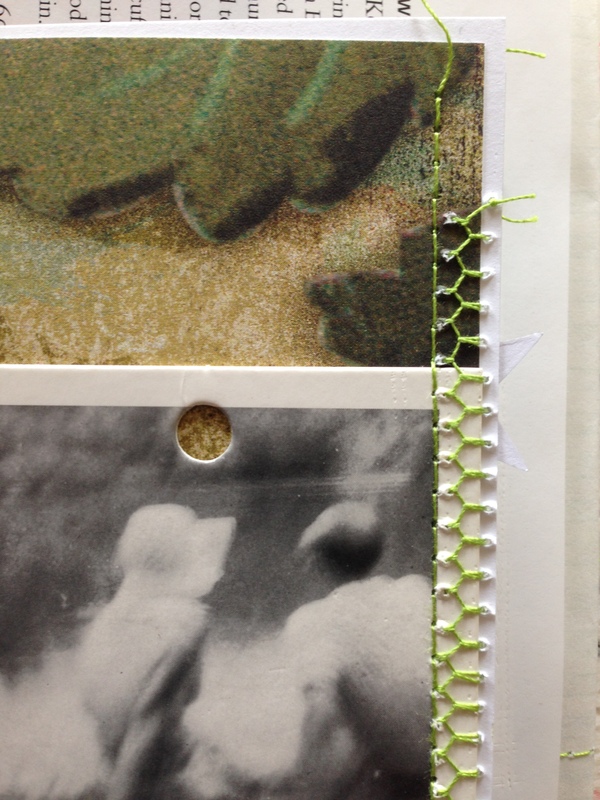 Concurrently, I was reading and creating from Randel Plowman’s Collage Workbook. I was making 5-minute collages and bird-themed collages and map-based collages. 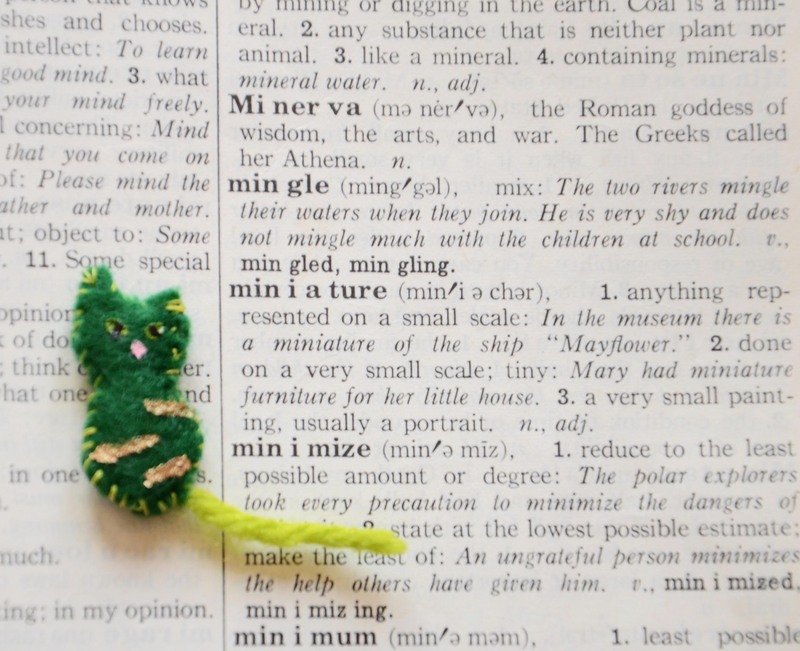 While the collages were drying under a weighty American Heritage Dictionary, I dismantled the bird. I also rummaged around for the sturdiest box to house my faux bird. I have a collection of small, strong, hinge-lidded boxes from my Studio Calico Project Life® subscription*. They are very good quality boxes that arrive monthly, and I knew that I would find a project for them at some point. Happily, the bird fit into the box! So I continued with my bird re-feathering, and since it had a metal clip instead of feet, I fashioned some legs and feet from a small piece of floral wire which—all of a sudden—magnetically stuck to the top of the box! These strong magnets on either side easily hold a small bird upright. And while I was delighted to have discovered that a bird could sit on top of the shadow box, I was foiled about what would go IN the box. Another bird? (I had several bird-making books on hold at the library, plus an old issue of Somerset Studios with a bird-maker interview). And all the while, those collages dried flat under the dictionary behind me. You know where this is going. After I had carefully taken all the canvas off the foam core, I laid each piece down and traced out the pattern. Her tail was sort of over the top for her size, so I didn’t build that into her remake. I kept the same beak, eyes, and wing shape, but simplified the tail, and added some vintage feather bits to her wings. I cut new pieces of fabric from a vintage linen remnant, and glued them all back together onto the foam core. 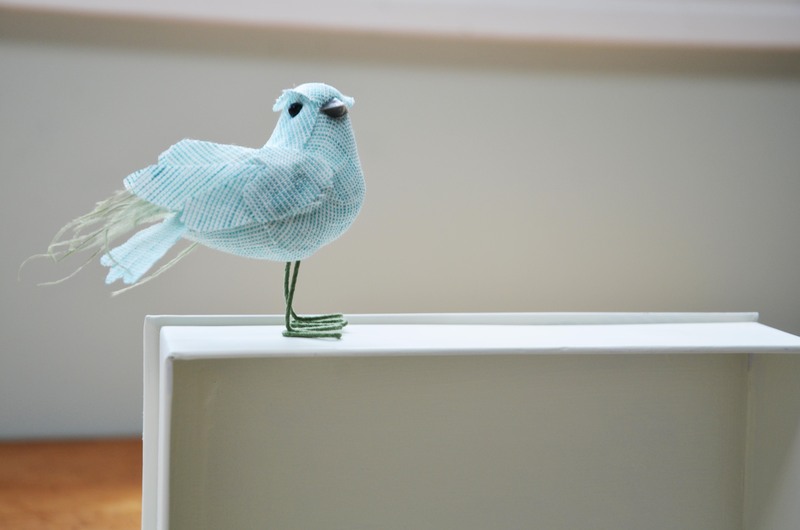 I bent two small feet from floral wire, and left them green—she’s already a fabric bird, no need to force the faux issue. I think this is the point that I pulled out the collages, some of which were portrait in orientation, and wouldn’t fit. But were four horizontal, and fit nicely. And that made for one happy maker. 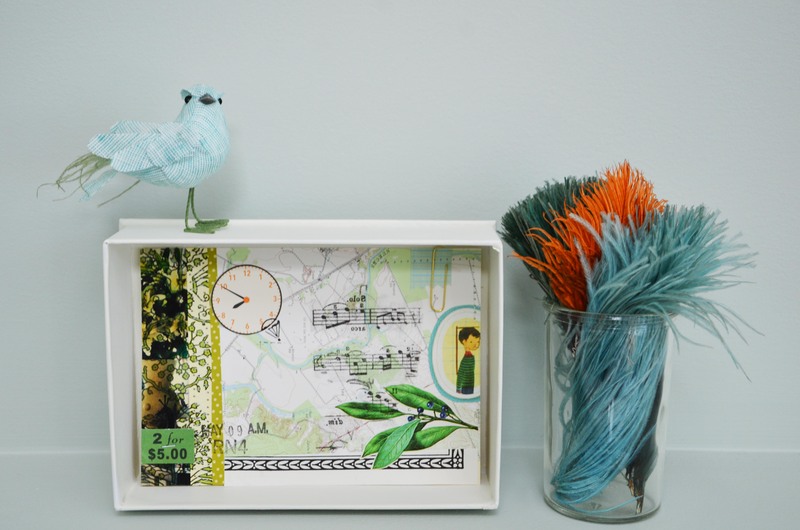 A tilt on Blair Stocker’s lovely bird shadow-box-turned-evolving-display for collages! And that, good people of the internet, is how I got sidetracked from Blair’s project idea, but I don’t think she’ll mind. I still love Blair’s bird boxes, and will likely make a set as soon as I have the right birds. The box is light-weight, and I plan to affix it to the wall with a piece of Command Strip, though I haven’t decided where to hang it. I think a series is in order. 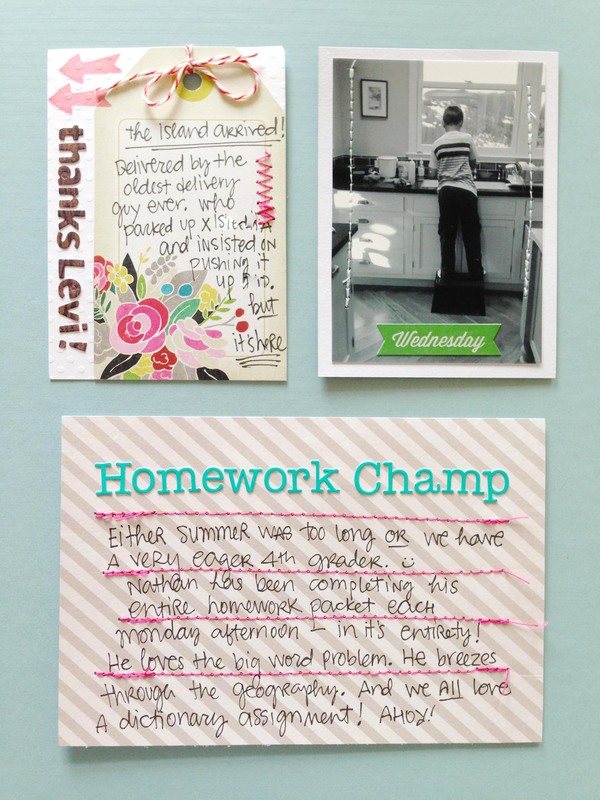 *Project Life® is a system of memory-keeping designed by Becky Higgins meant to stream-line photos and scrapbooking. 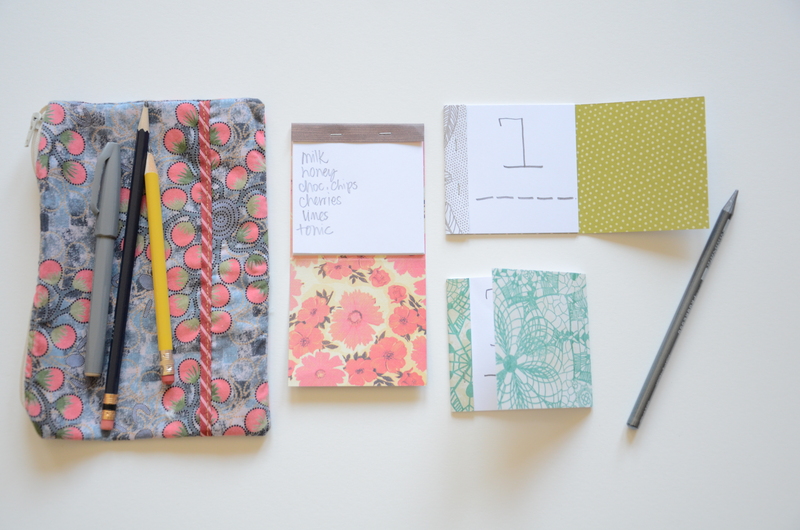 Studio Calico is a design company who builds fun papery kits in addition to Becky’s line. 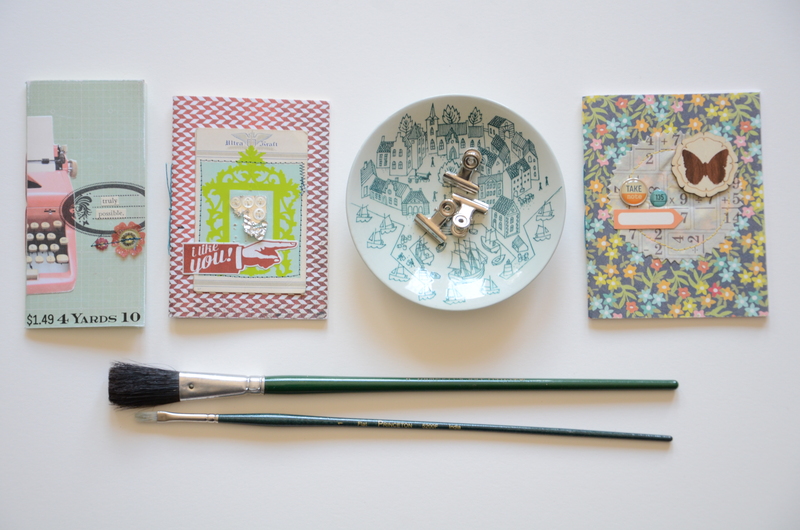 I happen to love these monthly small boxes of supplies, and use the contents for all sorts of crafting. 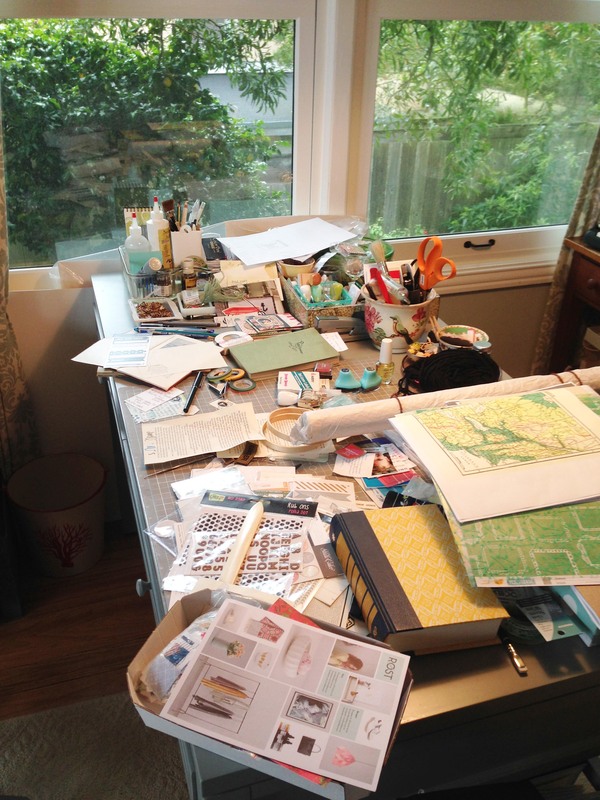 I also maintain a Family Book—my own version of Project Life, and perhaps I’ll share my process for that project here. 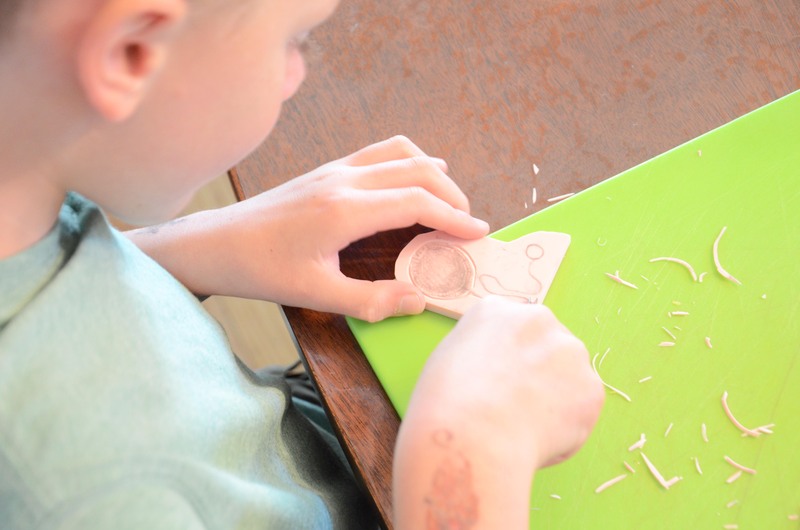 As a mom with two very active boys, the “get started” part of any project is often my biggest hurdle. It’s easy for me to derail when I don’t have the right ingredient, the perfect shade of paint, or an entire bag of semi-sweet chocolate chips. (I do have a neighbor who buys her chocolate chips in bulk, so there is wiggle room on that one). My chocolate chip neighbor—and friend, opera singer, (& editor: thanks Ann! )—will often send one of her boys running down to our house for large sheets of paper, pipe cleaners, or fabric. It’s the best kind of neighborhood smack in the middle of our beautiful city. 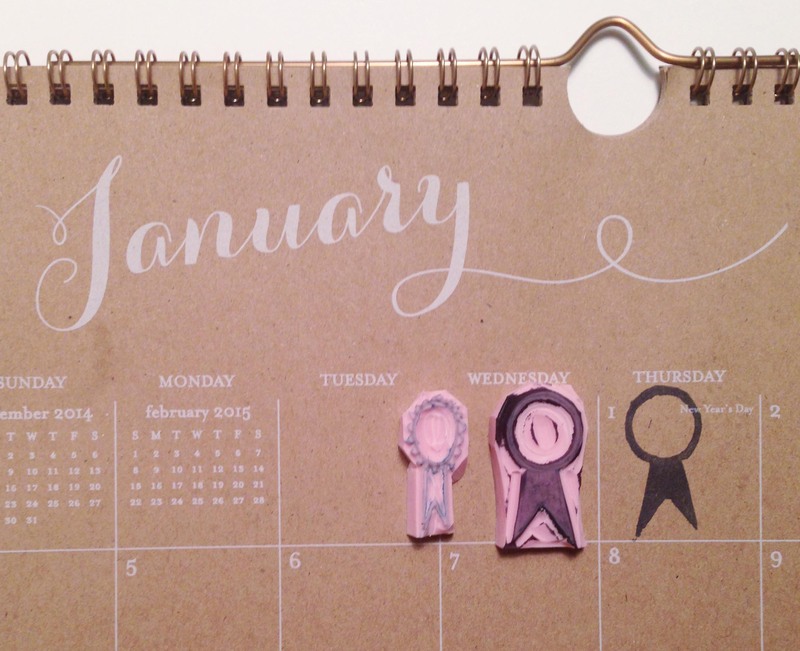 How to Get Started and Stay Inspired. But collage! Getting Started! Randel’s approach requires very little start-up materials. You can jump right in with an old National Geographic, scissors, and glue. You can use what you have. The phone book you don’t reference, but they insist on delivering. Junk mail. Magazines. Workbook pages from your kid’s homework, especially with some scrawling. The envelope from your tea bag: Harney & Son’s Paris, hands down. Randel recommends a few other supplies like inks, crayons, paints and a bone folder. 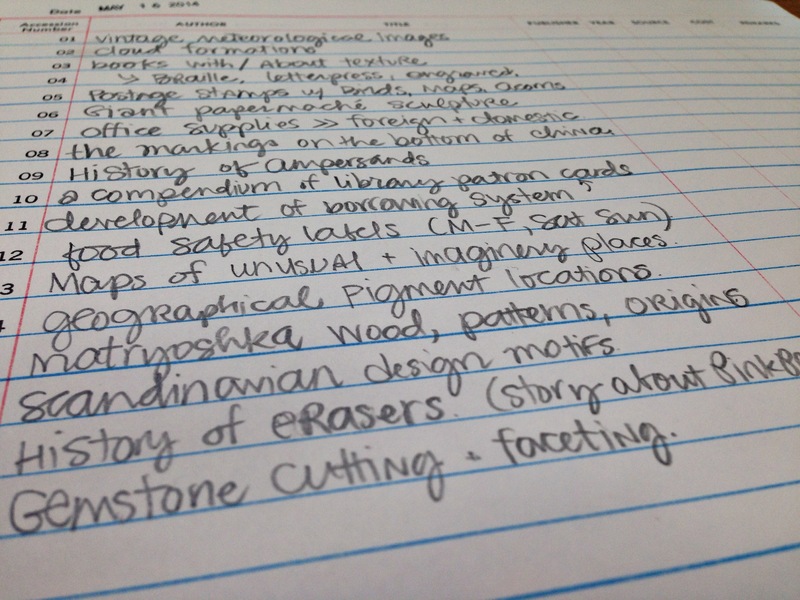 And he discusses foundations for your collage, adhesives, cutting tools, and other media. Randel also suggests printing some collage materials on tracing paper. 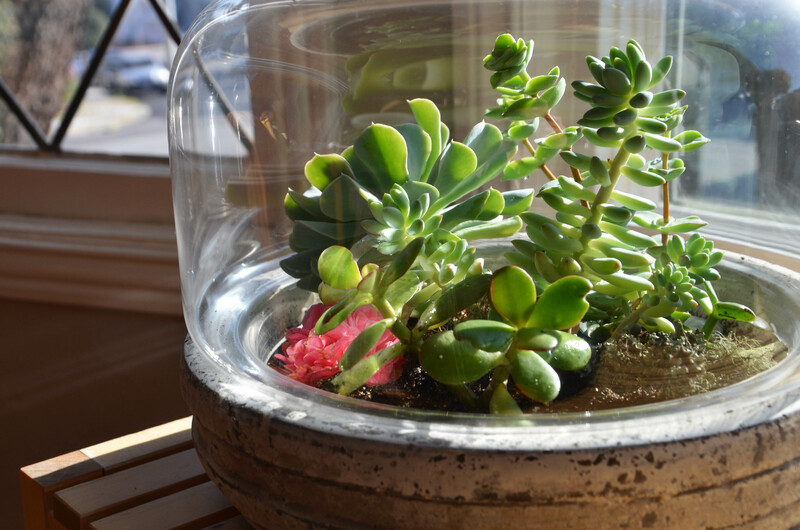 I love this idea for the semi-transparent quality and layering it creates. I receive a weekly newsletter from Dover Publications, which features public domain imagery samples that can be saved directly to your computer. I created a few sheets of these vintage images and printed them to add to my bin of materials. For me, the collages begin with a piece or two of interesting background paper. The secondary images inject color and texture (snippet of Braille, origami paper, upside down popsicles*). 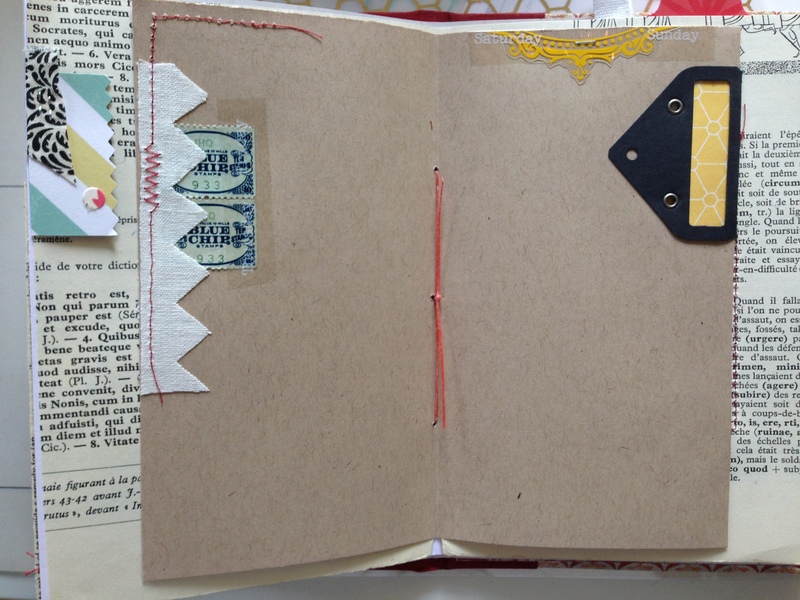 Then, my favorite part, adding in bits of detail (postage stamps, vintage labels, packing tape transfers, washi tape). I layer rubber stamping in plain black ink, and toner image transfers as well. A few of the collages have some machine stitching, which looks good on a window ledge, since the light peeks through the needle holes. *I regret that I do not know the source of this image. After completing my small series of collages, I took a step back and observed what I was inclined to use. Old book pages, tattered sheet music, and a forest map. Birds. Postage. And also texture. There is a scrap of Braille glued down inversely, zigzag stitching, and a stencil that I spackled with Texture Magic (by Delta/Plaid, which doesn’t seem to be available). Texture is where the internet fails us all. I foresee combining more stitching with paper and fabrics, more layers, more pinked edges. 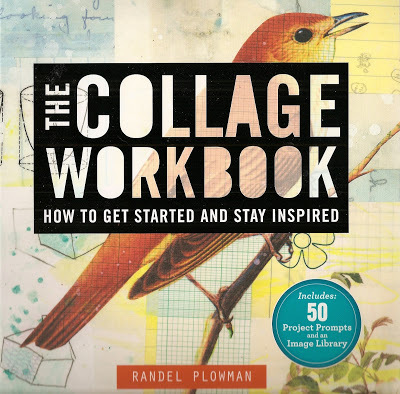 This is a great book for those new to collage, or needing to refresh their style. But seasoned collage artists will still find value in many of the exercises, and inspiration in Randel’s work. The fifty exercises vary between color studies and image pairings, geometrics and typography, maps and storybooks. The collages feature birds, flowers, and power lines. And he even incorporates the scribbling of a child. My favorite collage of Randal’s is called Ten, featured in the section on working with Numbers. I love the bits of penciled arithmetic, a chemical compound, the digits 10 and word ten, and a vintage bird. If you search for Randel’s collages, you’ll find hundreds to peek at online. That alone is hugely inspiring. Plus, he included a duplicate-able image library in the book to get you started. *among many other agreeable and strange topics.